Jeff loves blueberries. They're not my favorite fruit, but I try to make a blueberry something for him every once in a while. I do, however, really like chocolate, so we both really enjoyed this one! 1. Preheat oven to 350. 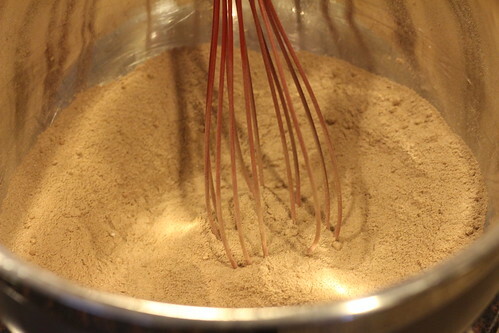 Whisk together flour, sugar, cocoa powder, baking powder, baking, soda, and salt in a bowl. 2. 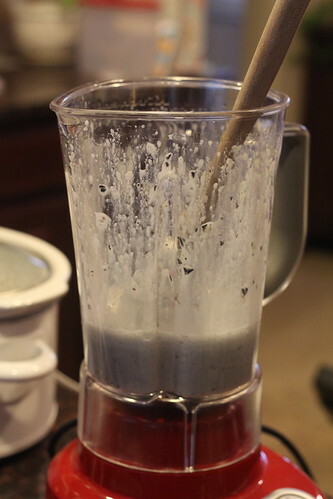 In a blender, combine water, 1/2 cup blueberries, and egg. Blend until smooth. 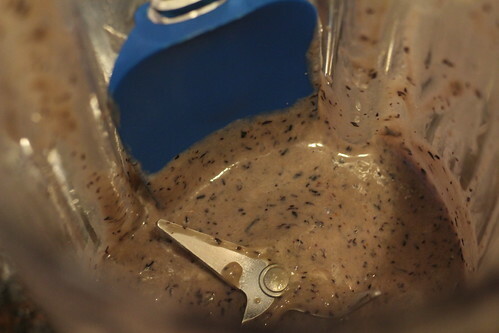 Add gradually to flour mixture and mix until combined. 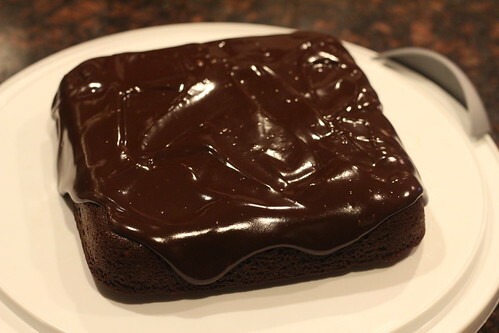 Pour into a greased 8x8 baking pan. 3. Bake 30 minutes, or until a toothpick put in the center of the cake comes out clean. Cool on a wire rack. 4. 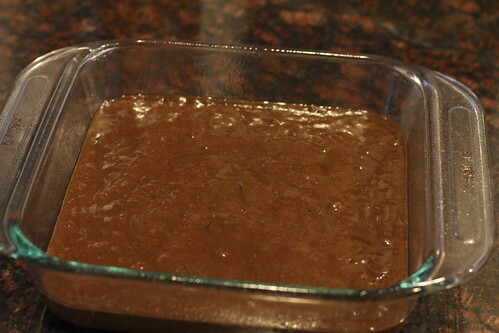 In a microwave-safe bowl, combine 1/2 cup thawed dessert topping and chocolate chips. Cook in the microwave on 50% power for 1 minut. Stir until smooth. Let stand for 5 minutes, then pour over the cooled cake. 5. 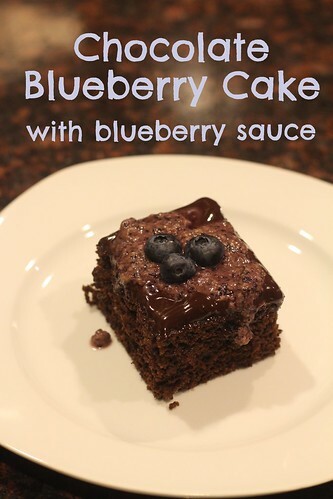 To make the blueberry sauce, put 1/2 cup blueberries and 1/2 cup thawed dessert topping in a blender and blend until smooth. 6. 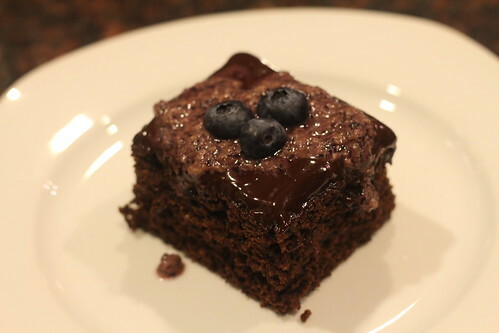 Serve cake topped with extra blueberries and blueberry sauce.